'Tis the season for pumpkin carving. 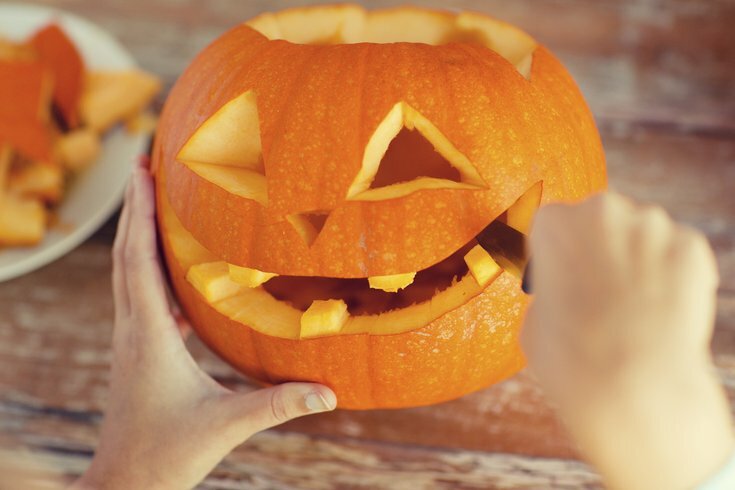 Love carving pumpkins, but hate the mess? Drury Beer Garden is inviting you to create a masterpiece jack-o'-lantern at their house, far away from your nice clean kitchen, through Halloween. DBG, Opa's outdoor arm along Drury Street, is offering cleaned, ready-to-carve pumpkins for $10. For an extra $3, you can grab a Shocktop Pumpkin Ale to accompany the carving process. They've also added some seasonal cocktails to their drinks list to get you in the fall spirit. Their Apple Sangria ($8), Hot Jimmy (Jim Beam Maple or Jim Beam Fire with chamomile-ginger, $8), Fall Fusion (vodka, orange and apple cider bitters, $8) and a Caramel Apple Shot (vodka, whisky, caramel and cranberry juice, $5) will all be available. The beer garden opens at noon Friday through Sunday and at 3 p.m. Monday through Thursday. It stays open all year round, thanks to heat lamps.